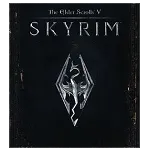 Our collection of games like Skyrim offers epic RPG adventures that are packed full of content and feature amazing game worlds to explore. Skyrim’s rise to popularity has gone beyond its initial release, continuing to be a popular RPG adventure years later thanks to a strong core game experience and endless mod opportunities. The attention to detail, level of customisation and sheer amount of content has had many gamers hooked for hundreds if not countless hours. The game world of Skyrim the strongest asset of the game with a realistic world filled with NPCs, lore and near endless side quests that allow you to bypass the main quest completely if they wish. The gameplay of Skyrim is similar to the other games in The Elder Scrolls series with the game being a highly non-linear experience. The world of Skyrim is huge and one of the biggest ever seen in a video game for the time, while also reacting to player actions and decisions. This huge world comes with many adventures and quests for players to explore both on foot and by horse. The games like Skyrim on this page all offer an amazing RPG experience on various platforms (Android, iOS (iPhone/iPad), online and free options). With these role playing games you’ll have hundreds of hours of gameplay, endless quests to complete and amazing locations to explore. This list is also perfectly suited to Elder Scrolls fans looking for games like Oblivion and Morrowind.